Ahead of MASSCreative's campaign to promote the importance of artistic endeavors statewide, the gubernatorial candidates weighed in on the issue. By Steve Annear·	 10/24/2014, 12:05 p.m.
Republican gubernatorial candidate Charlie Baker wasn’t a gifted artist. His rival, Democratic nominee Martha Coakley, used to have a bit of flair when it came to being creative on the dance floor, but she later gave it up. Although neither of them pick up a paintbrush, or sit down to stroke piano keys, both stressed this week that keeping the arts in the spotlight in Massachusetts is an important part of their political campaigns. On Friday, MASSCreative, a non-profit organization, kicked off “Arts Matter” day, where they encouraged creative thinkers all across the state to Tweet about why art is the keystone of the Commonwealth’s economy, and needs to be nourished by a plan of action implemented by the next governor, whomever it may be. Along with the social media blitz, MASSCreative officials rounded up a series of video testimonials from prominent names in the arts and culture industry, and worked with other organizations to have them insert brief explanations about where the candidates stand on the issue prior to hosting events, like concerts. 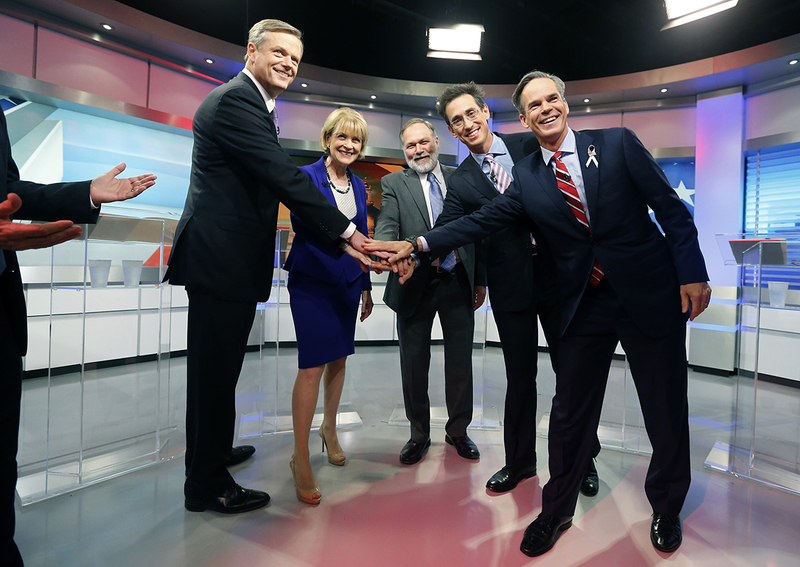 Not long before the campaign got underway Friday morning—it was trending on Twitter shortly after, under the hashtag #ArtsMatter—Coakley, Baker, and candidates for governor Evan Falchuck and Jeff McCormick, both running as independents, filled out sheets for MASSCreative outlining their personal opinions on the subject. Coakley, going a step further to stress her point, even unveiled a preliminary platform on the arts—a list of campaign promises she hopes to fulfill if elected.